THE Supreme Court has convicted Rainbow Newspaper editor-in-chief Derrick Sinjela on his own admission of guilty of contempt of court. And the Supreme Court asked Sinjela to give reasons why the court should be lenient in sentencing him considering the obnoxious attacks on the judiciary with his unbalanced articles. 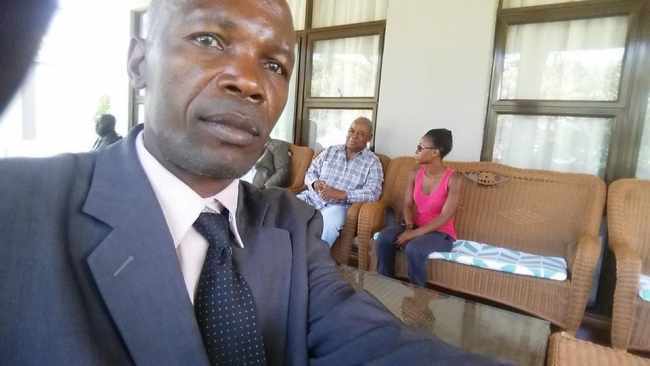 Deputy Chief Justice Marvin Mwanamwambwa, who sat with judges Gregory Phiri, Elizabeth Muyovwe, Mumba Malila, Evans Hamaundu, Roydah Kaoma, Michael Musonda, Jane Kabuka, and Nigel Mutuna, informed Sinjela when he appeared for his judgment yesterday that the court had formerly convicted him on his own plea of guilty and asked him to mitigate. In his mitigation, Sinjela asked the court to give him a lenient sentence but justice Mwanamwambwa ordered him to give reasons. Justice Mwanamwambwa said Sinjela was publishing articles that were not balanced, distributed three free copies to the judges and also put up a banner on Chikwa Road so that judges could see as they drove on the road. Then justice Mwanamwambwa told Sinjela that the court was suspicious as to whether it was him who wrote the contemptuous publications. Sinjela explained that he was a journalist and studied at Normajean School of Broadcasting and started working in 1999. He said he worked at National Mirror Newspaper, Guardian Weekly, among others and did his attachment at Times of Zambia. The court reserved sentencing in the matter to November 28. Sinjela last month apologised to the bench after he pleaded guilty saying he made errors in his news judgment by repeatedly criticising Stanbic Bank and attacking the judges.